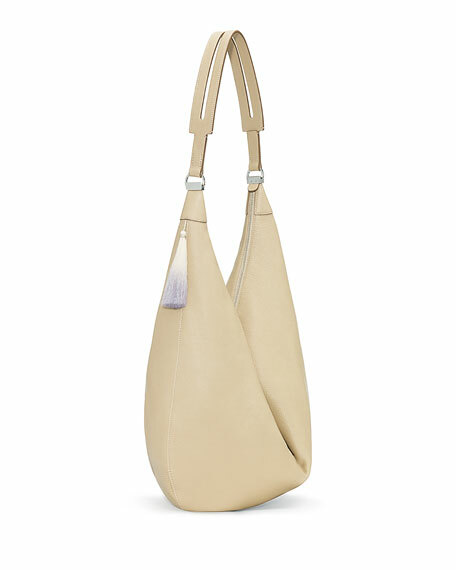 Calfskin leather sling hobo by The Row. Grained leather is super-soft and supple. Smooth, cutout calfskin shoulder strap; 23" drop. Ombre tassels hang from sides. Interior open pocket; fabric lining. 13"H x 26"W x 2.5"D; bag weighs 2lbs. For in-store inquiries, use sku #1644895.